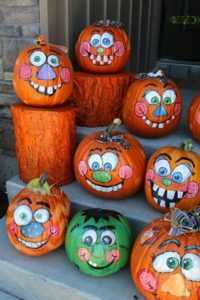 Kid's Pumpkin Painting Party | Prairie View Farm Market, Inc. Gather your family and head on out to help us celebrate the end of our season with our 4th Annual Pumpkin Painting Party on Sunday October 28th from 1pm-3pm. The cost is $8 and includes a full size pumpkin, paint and painting supplies, and of course fall treats cause it wouldn’t be a party without food. Please call 847-683-4970 to sign up so we are sure to have enough for everyone! This is our favorite way to end our year so we hope you come out and join us!